The Colville River, or Kuukpik in the Iñupiaq language, is one of the United States’ great Arctic waterways. Located on the eastern side of the massive National Petroleum Reserve-Alaska, the Colville has extremely high conservation values and great cultural importance. The Trump administration’s aggressive energy policies and pursuit of rapid oil development threaten this wild, remote place that is unlike any other on the planet. 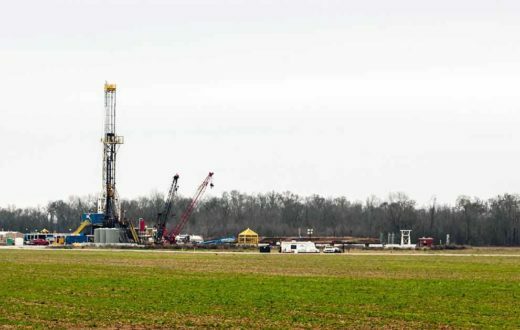 Secretary of Interior Ryan Zinke is pushing for oil and gas exploration throughout the Reserve. The public must stand up for responsible management of the Reserve and oppose further oil and gas development that would have lasting impacts on the Colville River. 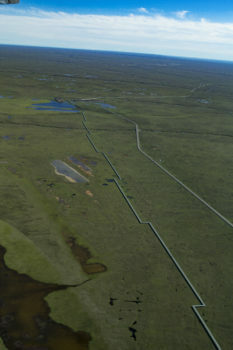 The Colville River drains approximately one fourth of Alaska’s North Slope to the Beaufort Sea and is one of the wildest rivers in the United States. The headwaters are bounded by the Endicott Mountains in the east and the Delong foothills in the west. Much of the Colville River watershed is located within Alaska’s National Petroleum Reserve. Despite the Reserve’s official name, this landscape is one of the most ecologically intact unprotected areas on the planet. At 22.8 million acres, a size greater than 10 Yellowstone National Parks, the Reserve is the largest federal land unit in the country. 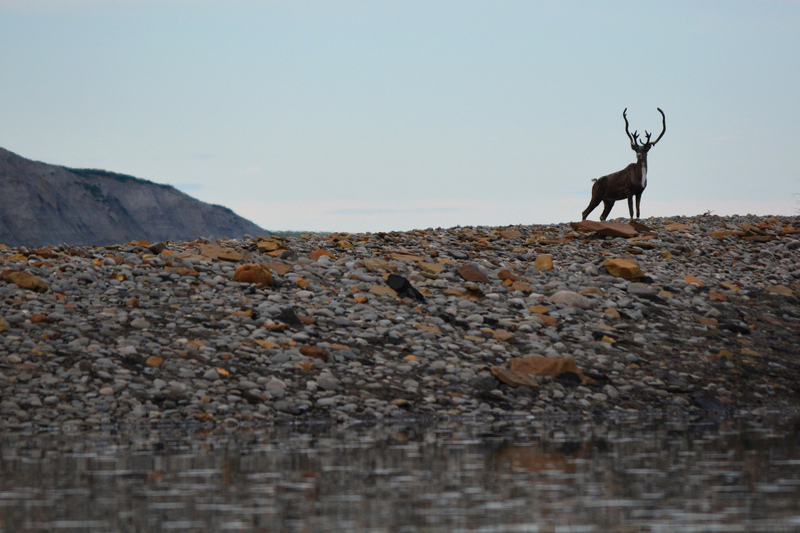 While its name may conjure up images of roads, pipelines and drilling platforms, the Reserve is a largely undisturbed place vital to polar bears, wolves, moose, caribou, grizzly bears and musk oxen. It is also an important watershed for numerous fishes, including Arctic grayling, salmon and whitefish. The river’s tall bluffs provide nesting habitat for a diverse variety of raptors, including peregrine falcons, rough-legged hawks and gyrfalcons. The Colville’s headwater habitat serves as calving grounds for hundreds of thousands of Western Arctic caribou and has extremely high densities of wolverines. For residents of the region, the river is important for subsistence resources and practices. The river is a source of food and sustenance, and the waterway serves as an important transportation route to traditional use areas and culturally important sites. For visitors, the Colville’s upper sections offer outstanding opportunities for wilderness experiences and recreation. This includes paddling, fishing, hiking, wildlife viewing and photography, among other wildland pursuits. The federal Bureau of Land Management is required to manage the Reserve for these conservation and subsistence values. The Colville River has been found eligible for inclusion in the National Wild and Scenic Rivers System. 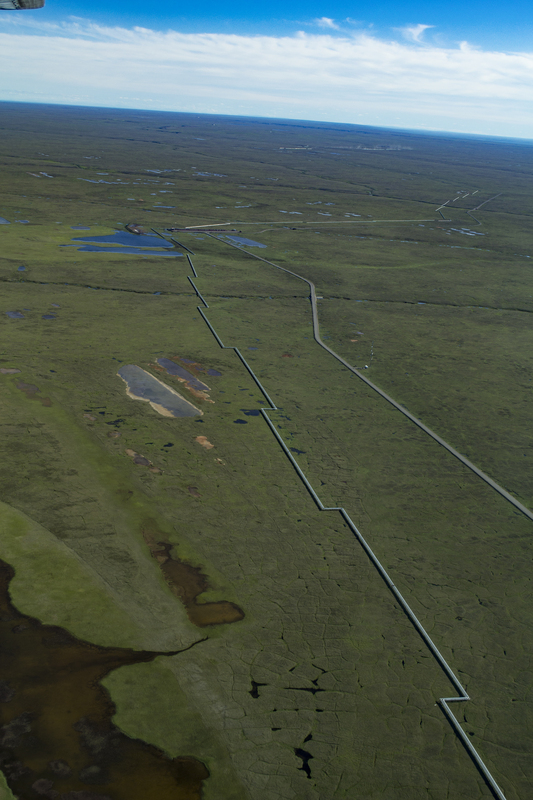 The National Petroleum Reserve has five Special Areas, including the Colville River Special Area, that were designated for their high conservation and subsistence values. In total, these tracts cover approximately 11 million acres of the Reserve and protect a variety of habitat types and species. These areas are unique within our nation’s network of public lands. Unfortunately, oil development and the Trump administration’s energy policies greatly threaten the places, wildlife and people that make this region so ecologically and culturally important. No permanent protections are in place for the Colville River. In 2013, the first ever comprehensive land management plan for the Reserve was completed. This plan reaffirmed the Colville River Special Area as an area of ecological and cultural importance and established a series of best management practices to ensure its stewardship. 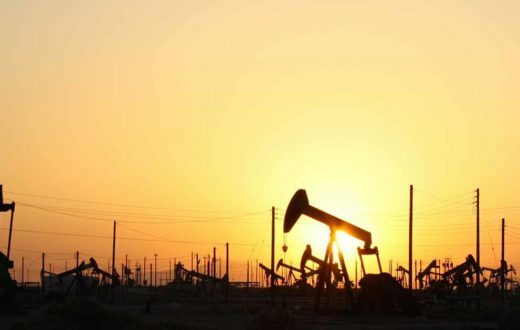 In June 2017, however, Secretary of Interior Ryan Zinke issued an order calling for a revision of the existing land management plan to maximize oil development within the region. Oil development is occurring rapidly within the Colville River delta and on the landscape surrounding the river’s mainstem. To date, a very significant portion of federal and state lands along the lower Colville River have been leased for oil development. To facilitate development, the administration plans to deconstruct the Colville River Special Area and the associated management plan and best management practices developed to protect this waterway. These rollbacks have the potential to compromise this river’s conservation values while subjecting this vulnerable Arctic waterway to substantial degradation. There is much work to be done to ensure that the Colville River watershed is protected from oil development and well managed in a rapidly warming Arctic. 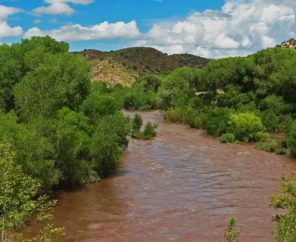 The Bureau of Land Management must maintain and enhance Administrative protections that were established in 2013 to safeguard this river’s conservation and subsistence values. 2018 is the 50th Anniversary of the Wild and Scenic Rivers Act, and the Colville exemplifies all the important work that has yet to be done in protecting waterways of national significance. 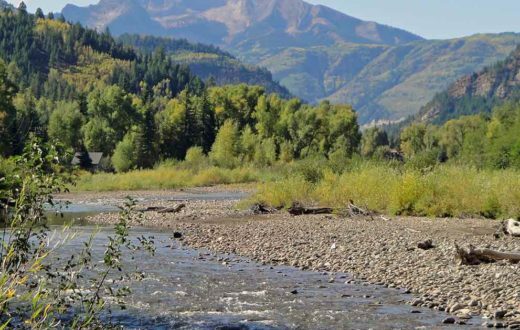 Permanent protections should be sought for the Colville River Special Area and for the river’s sensitive riparian corridor. The public must express support for the preservation of our wild public lands, in order for special places such as the Colville River Special Area to be conserved for the benefit of fish, wildlife, local communities and future generations. It’s important to balance our energy needs with our need for healthy rivers.